Most of the time, people can’t consider all of the ways data can be lost, so they simply don’t think about it! This is especially problematic for a company where data should be protected with employees working in different places. Out of sight, out of mind. When thinking about data backup plans, it is a great exercise to consider multiple loss scenarios, especially to assist your remotely located employees. Here is a quick list of examples of the different ways data can be lost and why your remote users need to be part of an enterprise-wide data backup solution. Malware attacks that cause security breach, including ransomware attacks that lock users out of their data. The 2013 BSA Software Alliance estimates about 60% of all businesses lost data due to malware attacks, and the attacks mostly succeeded when dealing with unlicensed software. Remote users don’t usually follow hardened firewall and authentication protocols found at a corporate site. Hard disk drive crashes in notebooks and PC. About two out of every three instances of data breach where malware attack is not the cause involve hard-drive crashes. Now, with SSDs in laptops, crashes take on a new danger. Flash or memory crashes do not leave behind data traces to recover. Human error. About 14% of all cases of non-malware related data loss are due to human error, such as not saving or overwriting the file. Sabotage or theft by disgruntled employees and corporate spies would also fall in this category. Under the watchful eyes of a datacenter which monitors users within LAN reach, protections are going to be better than with remote WAN-based users. The fact is that many people now work from home, which can increase the likelihood of these scenarios happening. This is because the level of security, care for infrastructure and attention to details available at the corporate level simply can’t be matched at home. Trying to prevent data loss – installing top grade security options for users, requiring only licensed software, undertaking periodic software and security audits, checking disks for “bit rot” and other data errors, periodic maintenance jobs and more – are all efforts in the right direction and would go a long way in preventing home-based disasters. Users will usually up their security game when a corporate relationship expects proper procedures and includes regular, if not daily, backups and archives to a datacenter. These measures do not guarantee immunity against data loss, of course, but they can reduce malware hits, catch drive errors early, and discourage sabotage. Cyber criminals have successfully stolen or deleted data even from US government, Fortune 500 firms and defense establishments, overcoming the best security measures available. Even the most popular and robust of licensed software may have vulnerabilities that an enterprising cyber criminal can exploit to siphon away data. Any violent jolt or spike, caused by natural causes outside anyone’s control, can crash the hard drive. Human error can override the best of safety nets and fail-safe controls. Companies need to opt for mobile user data backup and recovery processes as a crucial layer of security against data loss, just like they do at the corporate office. A robust data recovery and backup process means the company can access the backup version at short notice, giving users breathing room while trying to fix the error that caused the loss. In addition, a datacenter relationship with remote users allows an attacked set of user data to be subject to forensic examination. About one in four instances of data loss cause disruption in business operations, such as the firm not being able to provide a product or service for customers. Loss of data can also seriously erode the intellectual capital of the organization, leave gaping holes in information regarding customers, render marketing efforts to collect customer and lead data useless and also lead to serious non-compliance issues. A disaster recovery solution for all employees, regardless of their location, helps to mitigate these scenarios, along with ensuring the business can keep their operations running, even when the worst nightmare comes to pass. 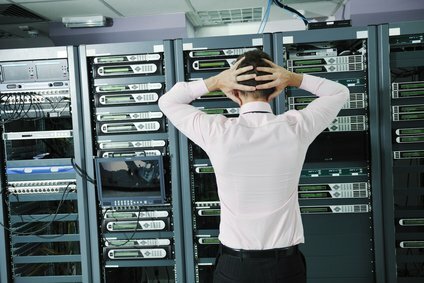 Effective data loss prevention techniques, however, require targeting the right data, deploying the right strategy and technology and engaging the right people. STORserver offers fast, reliable, economical and worry-free data recovery and backup solutions that help you to recover from any adverse situation and keep your business up and running with minimal downtime. 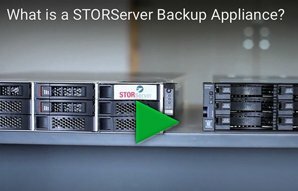 See what STORServer can do for your organization.